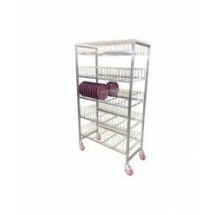 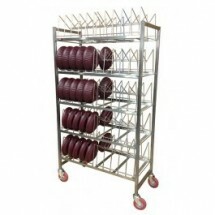 Tray drying racks are superb for drying your pots, pans and trays in your busy commercial kitchen. 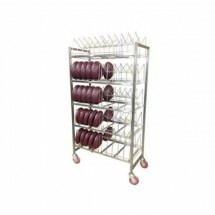 Tray drying racks feature maximum air circulation for pan and tray drying and allow your trays, pots and pans to dry quickly and thoroughly without taking up much needed counter space. 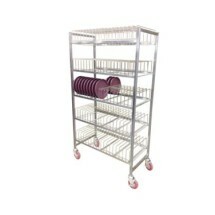 Shop for Win-Holt tray drying racks at TigerChef's unbeatable online prices. 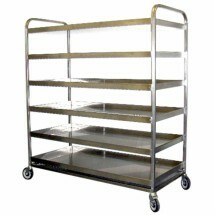 Carter-Hoffmann BSR270 Induction Base Drying Rack, 270 Capacity Sold As: 1 ea You're pre-approved for a cash advance!